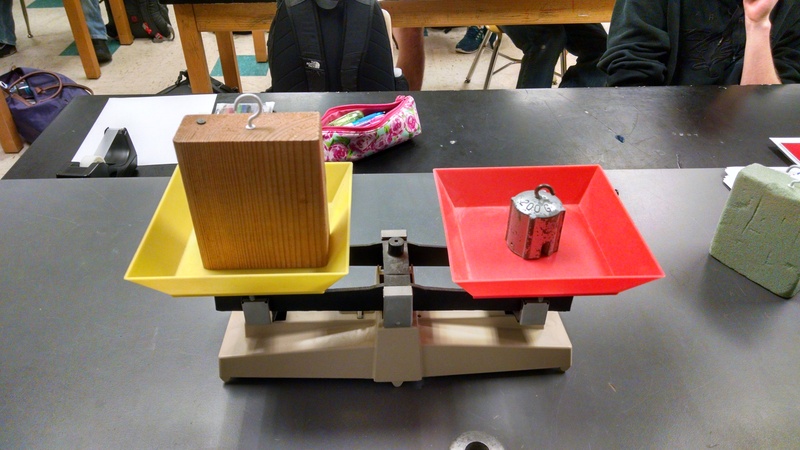 College-Prep Physics: Today we wrapped up discussion of the bowling ball and mallet activity, then moved on to the weight vs. mass lab. 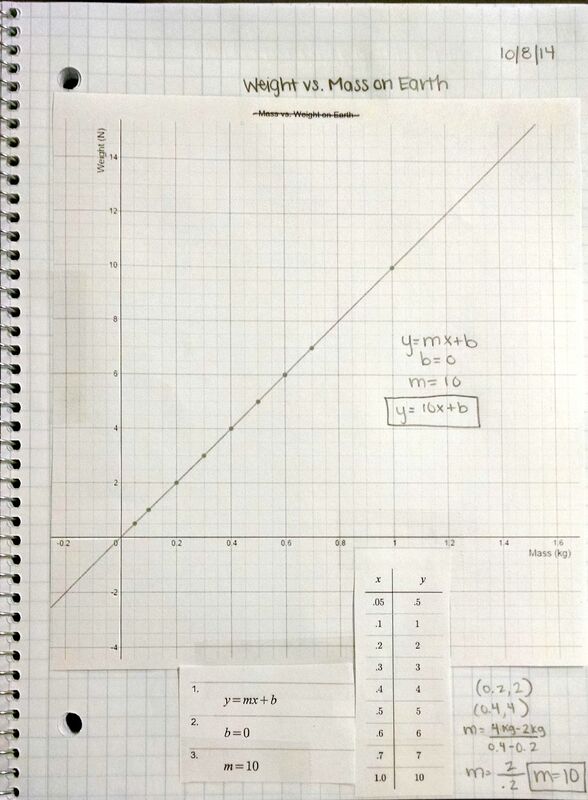 Students designed their experiment, recorded data, graphed their data by hand or in Desmos, then we discussed the results. 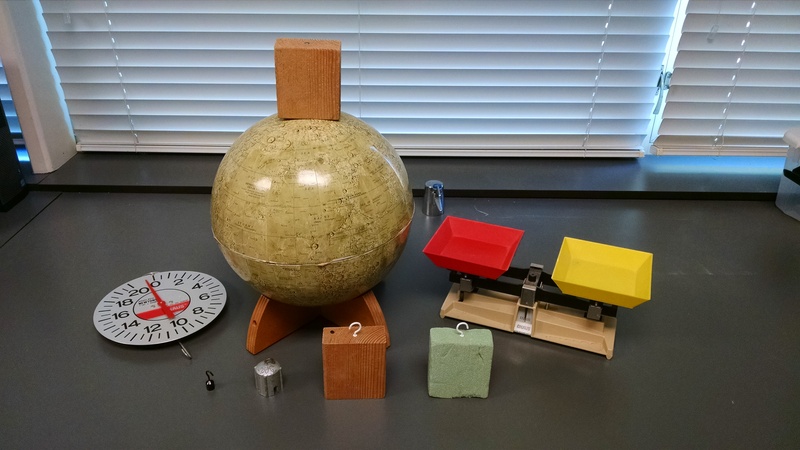 College-Prep Physics: In the past, I never spent much time on this, since students had gone through these terms every year since middle school. 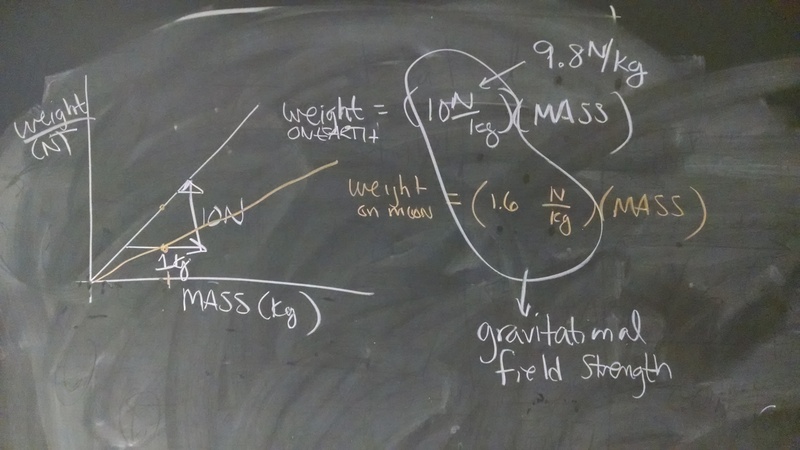 I usually asked for definitions of mass and weight just before starting the traditional mass/weight lab, and left it at that. 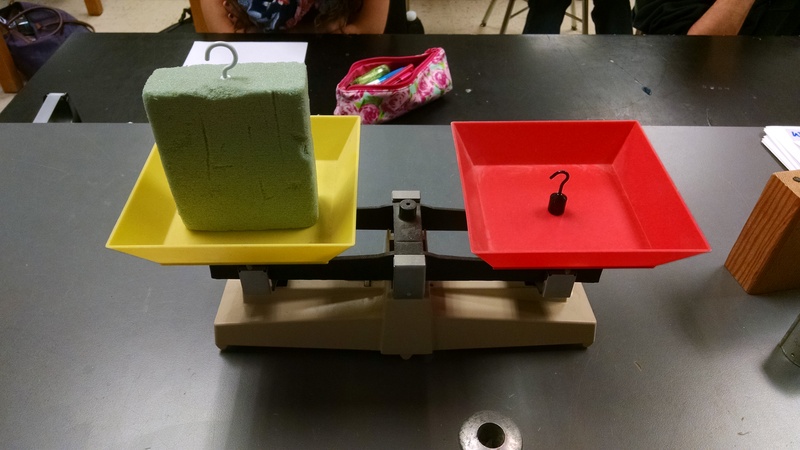 And asked them put the objects into groups: which ones had the same mass? the same weight? the same volume? Lots of good conversation happened between the students. 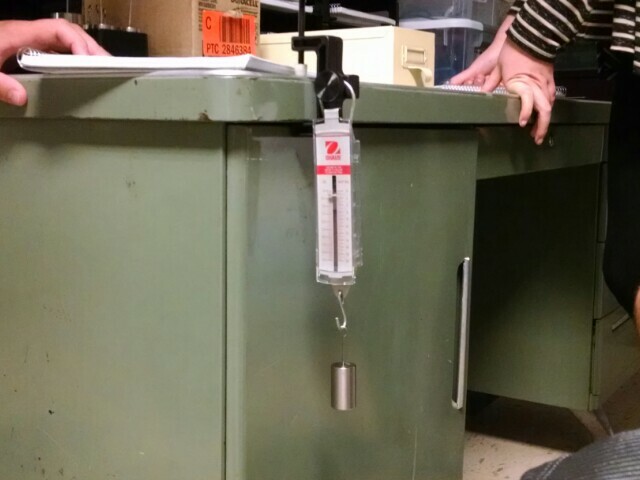 Then, to check their predictions, I brought out the double pan balance and the spring scale. We talked about what each instrument measures and how it works. 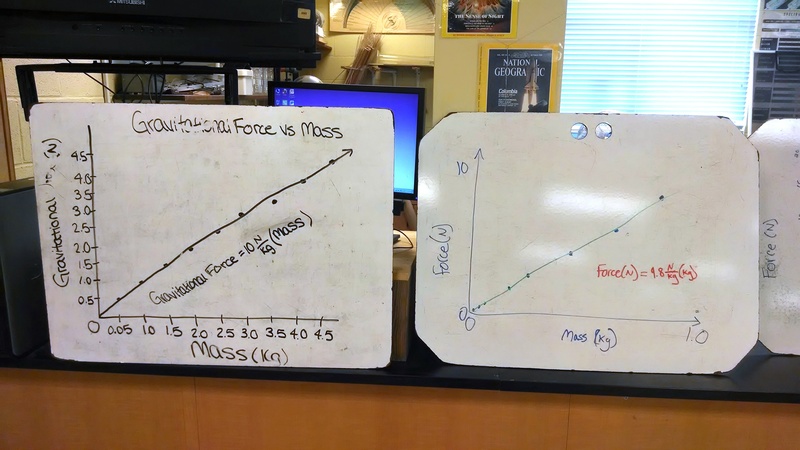 I asked students to draw particle diagrams to show what the molecular structure might look like to produce this outcome of different volumes with the same mass. 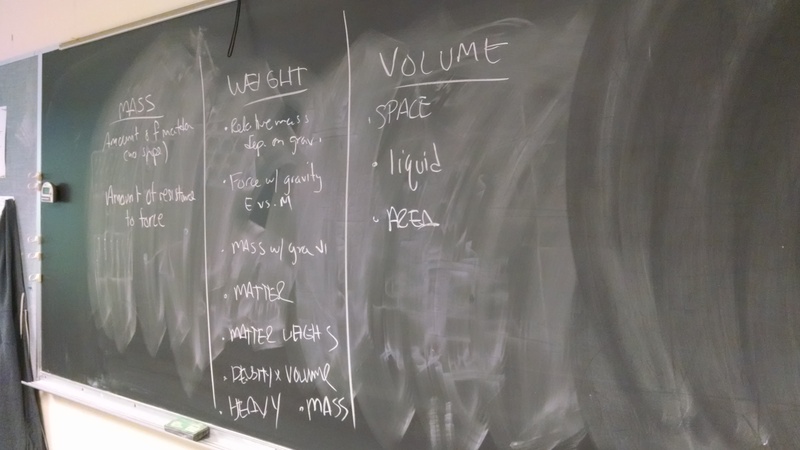 Then we went back and refined our original definitions of mass, weight, and volume.